Many marketers don’t consider how normal human beings will interact with their advertisements. This dilemma spans the profession, evident in the work of creative directors, designers, copywriters, account managers, etc. People-Optimized Marketing is a rubric for considering how marketers’ output will perform, based on simple principles. Effective advertisements make the viewer think, feel, and act. In order for those reactions to be provoked, the visual design must be clear and interesting. 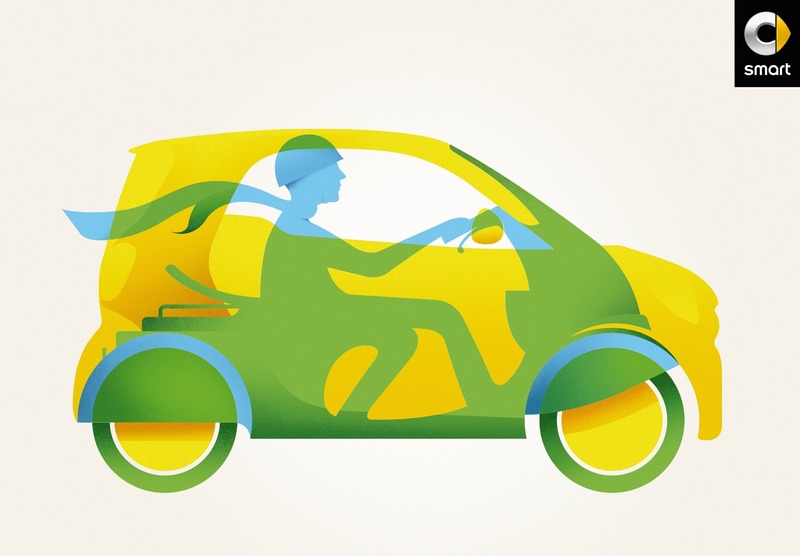 Contrapunto BBDO for Smart USA, via Ads of the World. How do good ads make people think? Curiosity gaps coax viewers into thinking. Ads should give the viewer just enough information to prompt them to finish the story, drawing connections in their own mind. Guide the viewer toward a particular narrative without spelling it out entirely. How do good ads make people feel? 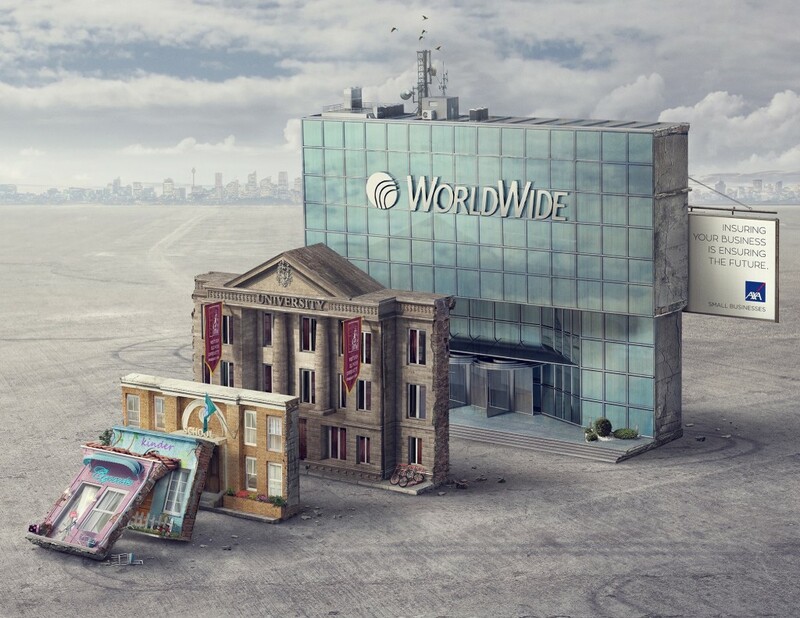 Havas for AXA Insurance, via Ads of the World. How do good ads make people act? Most ads won’t get the viewer to make a purchase right away. Rather, good ads give people what they need to act later. The product or service is identified, the brand is clear, and ideally the product is positively differentiated from what the competition offers. Triggers are another important consideration, as discussed in Jonah Berger’s study of virality, Contagious. What makes an ad well-designed? Design is more subjective than the other categories. In general, prioritize clarity and simplicity. Viewers need to be able to read the caption (if there is one) and identify the branding. I’ve written about this extensively when it comes to billboards. If you can make the design interesting or beautiful, that’s icing on the cake! Remember, cake needs frosting to be delicious. 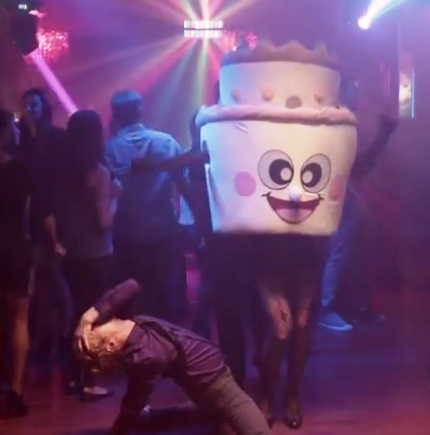 Bizarre dancing cake for Verisign by FCB Chicago, via AotW. Obviously not. People-Optimized Marketing is more about attitude than specific mandates. That said, ads that neglect to make viewers think, feel, and act are missing the opportunity to really engage viewers. Click here to see all my posts about People-Optimized Marketing.